Canadian Contemporary Realism - paintings inspired by Canadian Popular Culture and Art, working towards Canada's 150th birthday in 2017. Brandy Saturley has been making art for over thirty years, and painting in acrylics for fifteen. 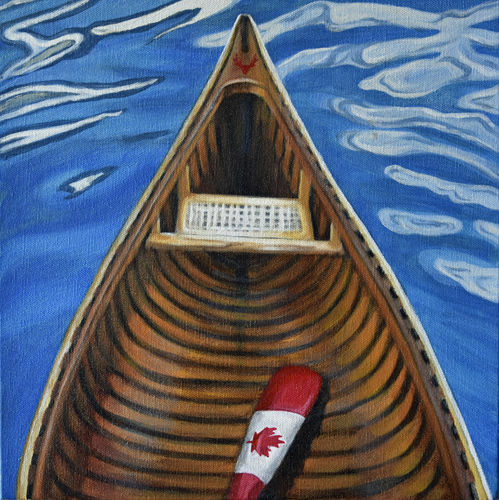 Saturley gained national attention with her paintings inspired by Canadiana including; goalie masks, athletes, the Canadian flag, NHL hockey, Alberta Rockies, and Canadian wildlife. 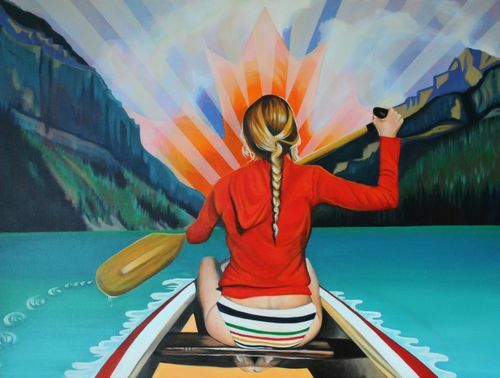 Featuring contemporary figurative paintings and symbolic landscapes of Canada. 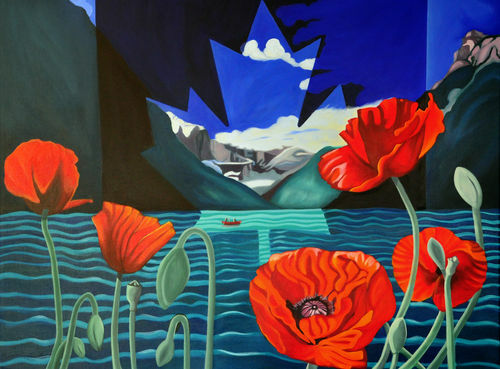 From hockey to poppies and maple leaves to Lake Louise. The work has been referred to as, "Canadianism's on canvas or Canadian POP art", Saturley classifies her work as Canadian Contemporary Realism. Saturley's work can be seen in corporate art collections across Canada and into the United States. You can find The Art of Brandy Saturley in many art collections; Toronto, Quebec, Vancouver, Edmonton, Calgary, Victoria, and even Palm Springs, California. Art Leasing is available to our patrons through Art Lease Canada. Image licensing: available - prints, book covers, fine liquor, postage, clothing, etc. - rates on request. Saturley's work has been featured in numerous publications, Canadian websites and blogs including; Galleries West Magazine, Forbes, Visual Overture Magazine, Art Avenue Magazine, Canmore Leader News, Monday Magazine, A-Channel News, CHEK 6 TV Island 30, CityTV Vancouver, Sportsnet, and in many Canadian blogs including AllHabs Magazine, Canadian Art Junkie, Puckstruck, Dennis-Kane.com, Independent Sports News, Curry's Canada, Life As Human, and a Portrait of the Visual Arts in Canada.